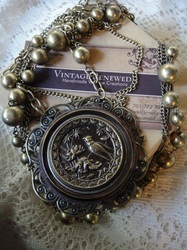 I am in love with Vintage Buttons! 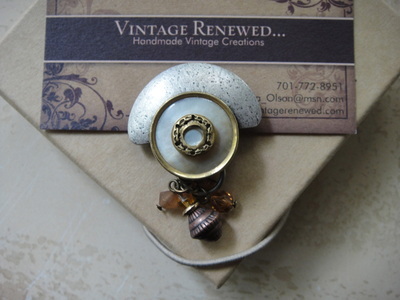 I find the beauty and history of these small buttons so intriguing and I hope you will too. 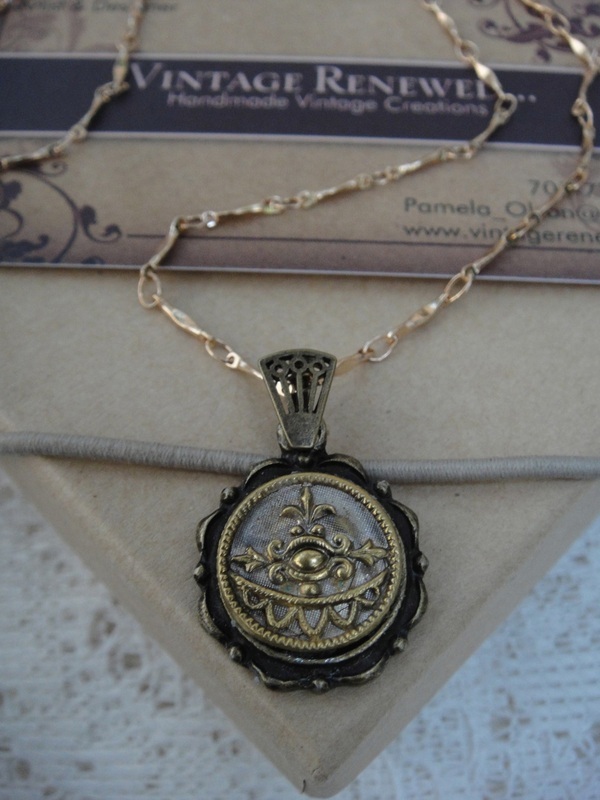 I enjoy searching for these small treasures and love working to create that beautiful eye catching pendant no one else has. 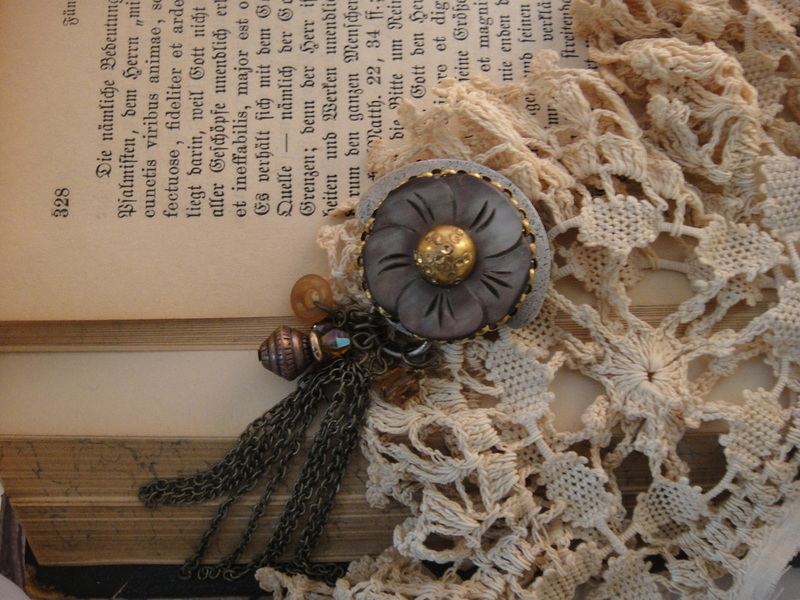 So take your time and browse my world of small vintage wonders and I hope you will try adding a bit of vintage flair to your wardrobe and see how elegant vintage buttons really are when turned into OOAK jewelry! 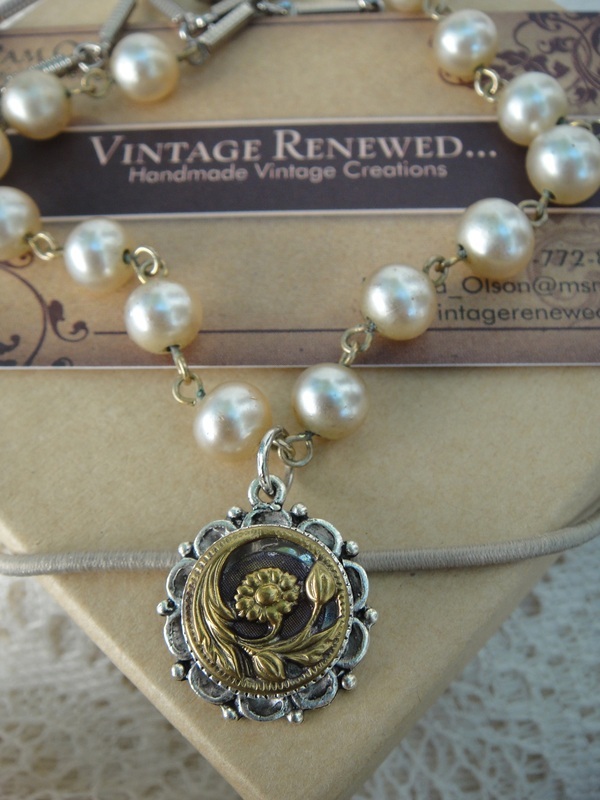 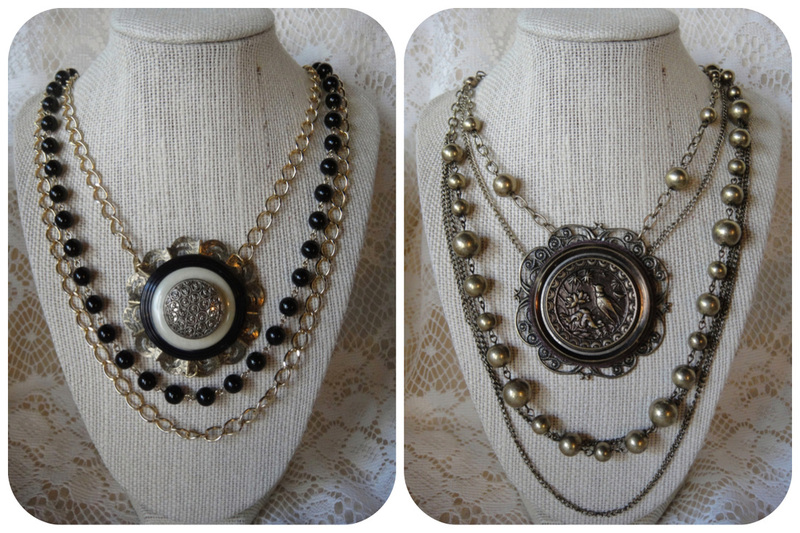 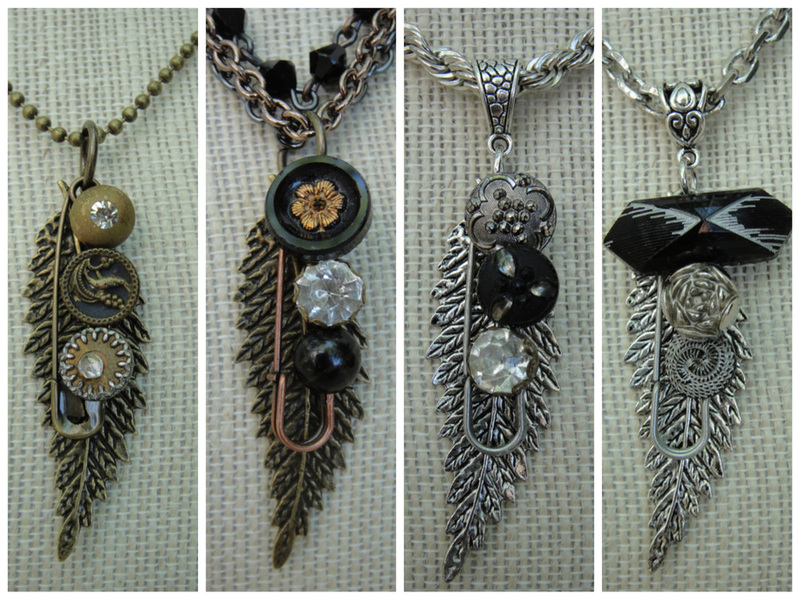 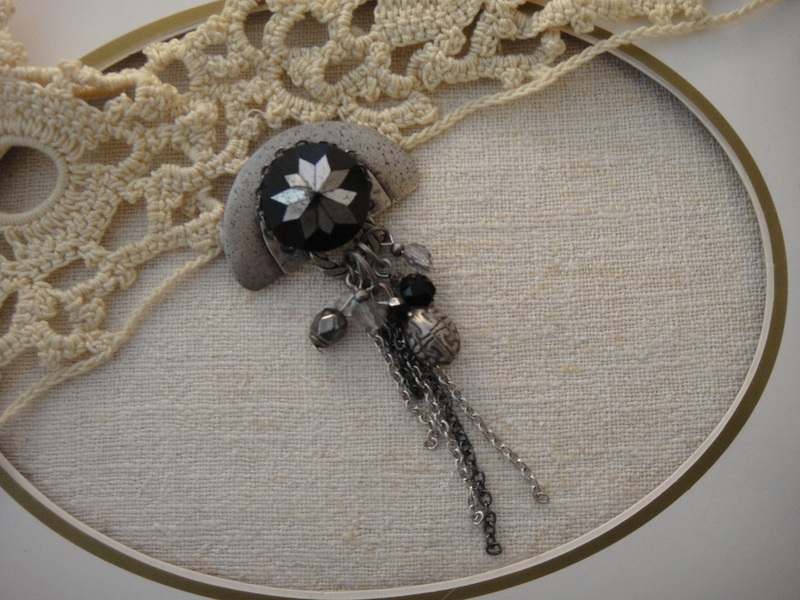 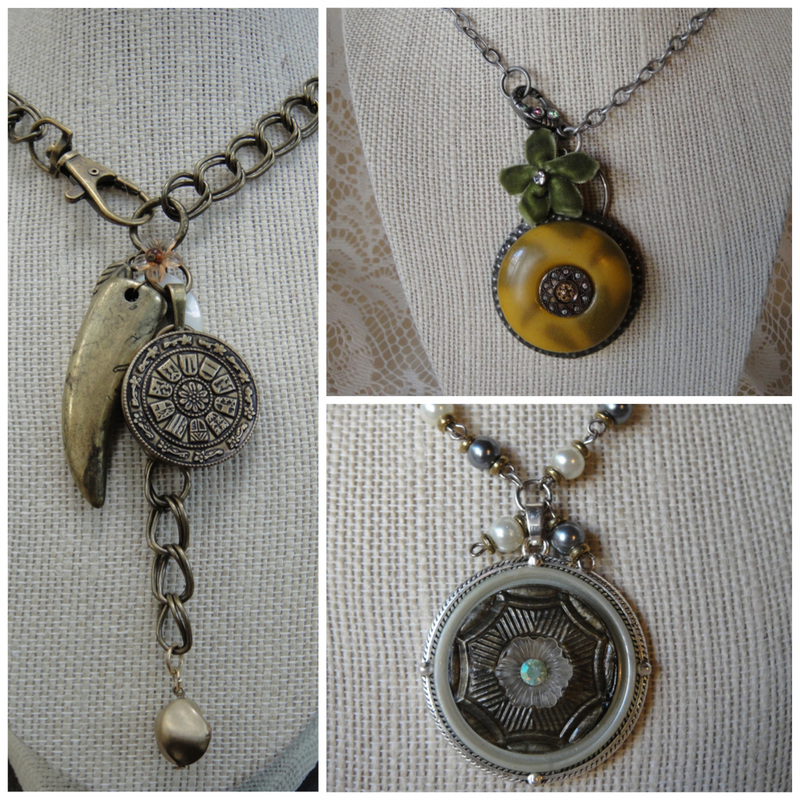 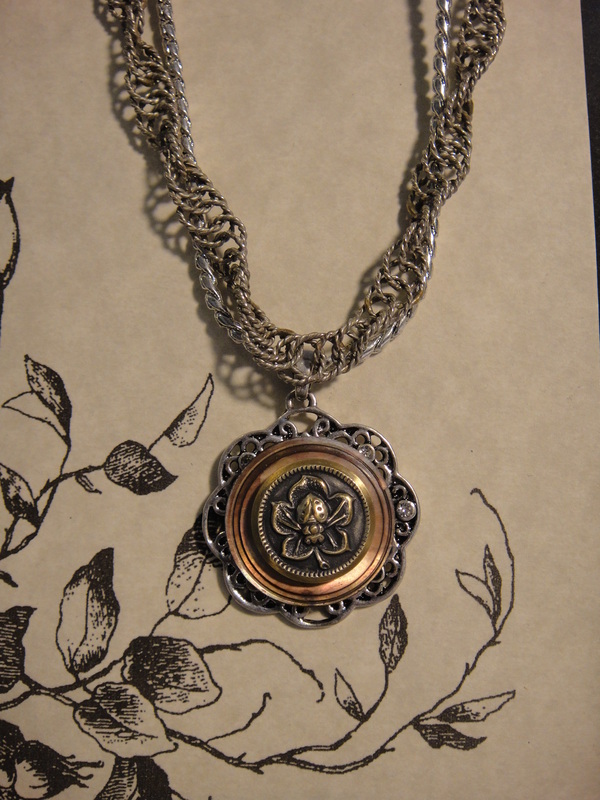 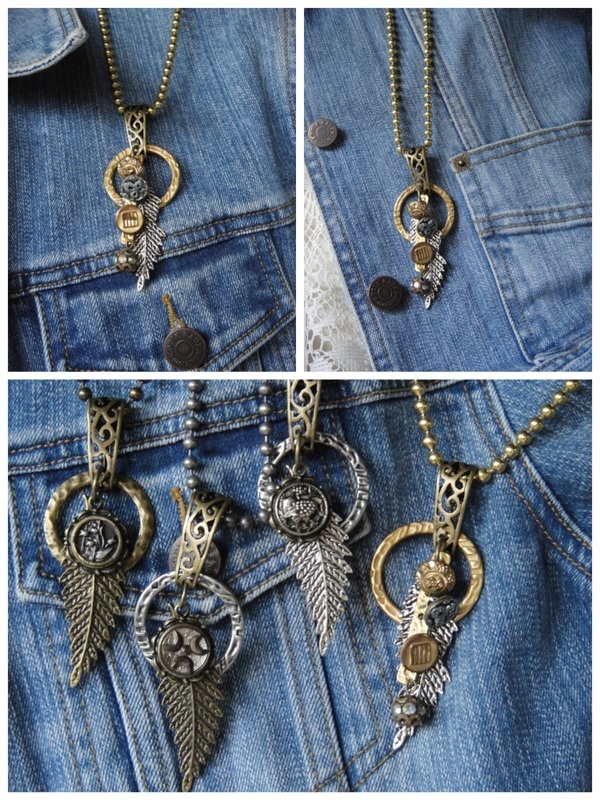 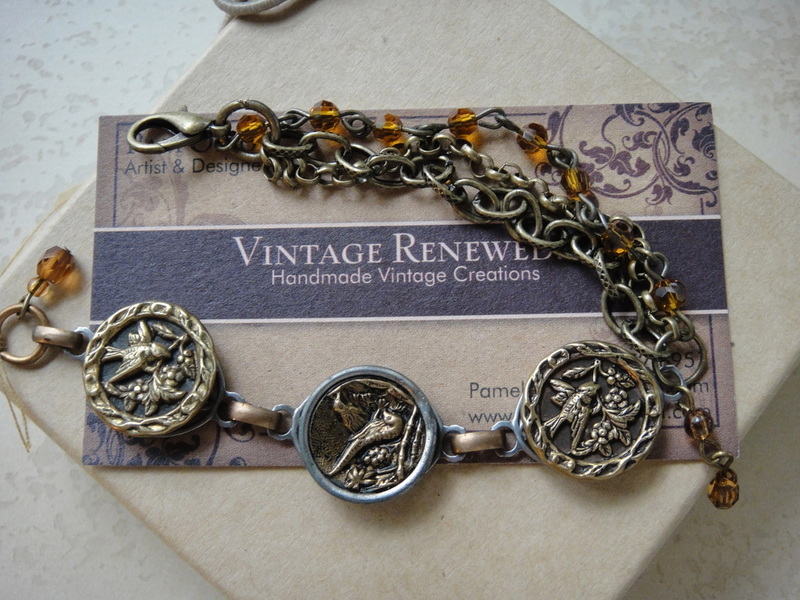 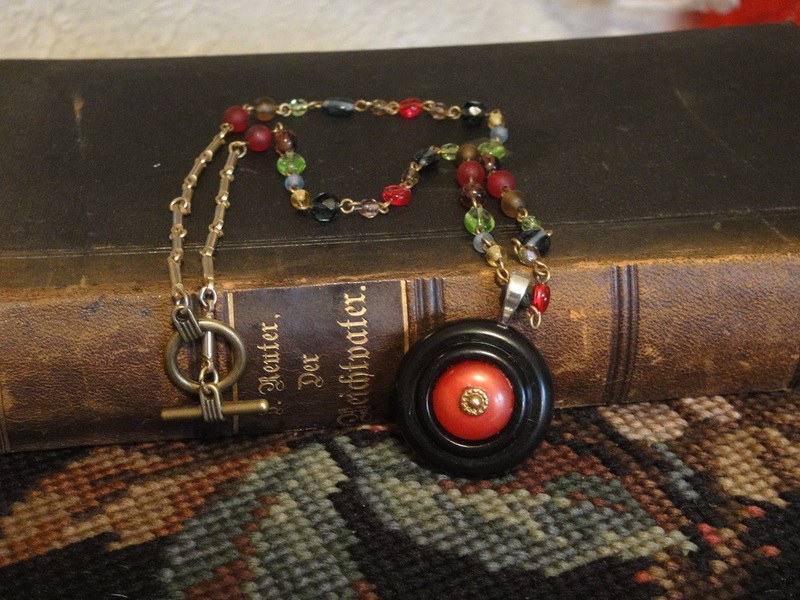 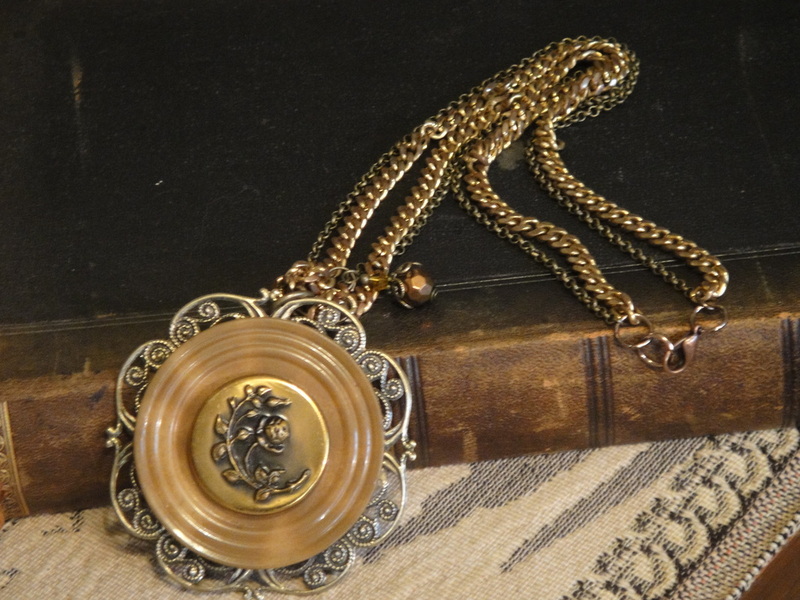 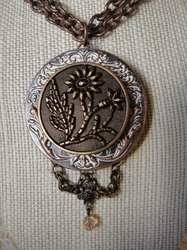 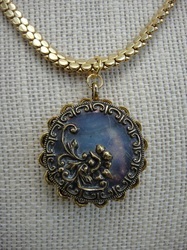 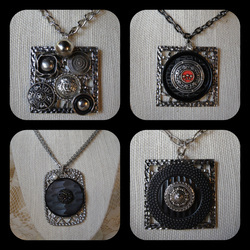 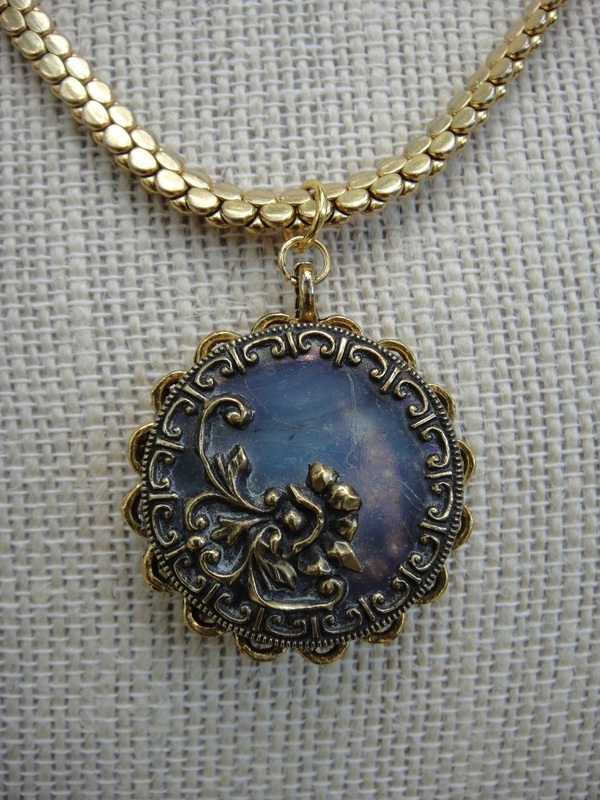 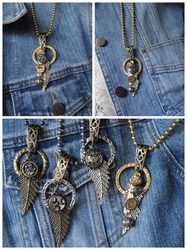 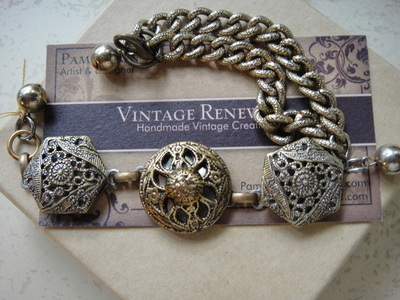 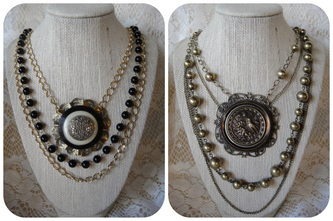 My pieces are made using beautiful antique buttons. There are Art nouveau, Victorian, Metal picture , Bakelite, Glass, Enamel, Celluloid, Etched pewter, Cut steels, Twinkle mirrors and Rhinestone, just to name a few! 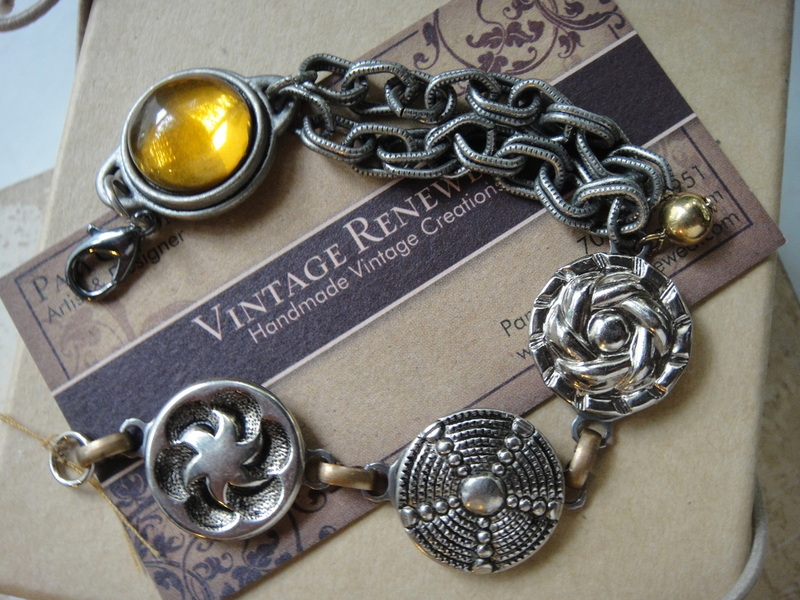 Find your favorite and wear it knowing you own a piece of history. 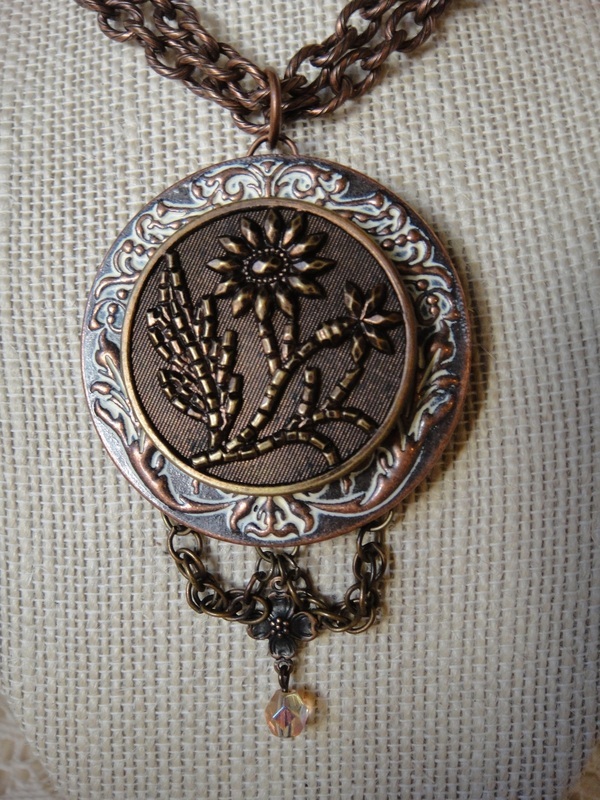 Jewelry of the early Victorian era was often symbol-laden and sentiment-infused and was popular from 1830 to the turn of the century. In 1800s mass production methods popularized steel picture buttons using them on women's and children's clothing from 1860's to the Edwardian era to often highlight and bring attention to there attire. 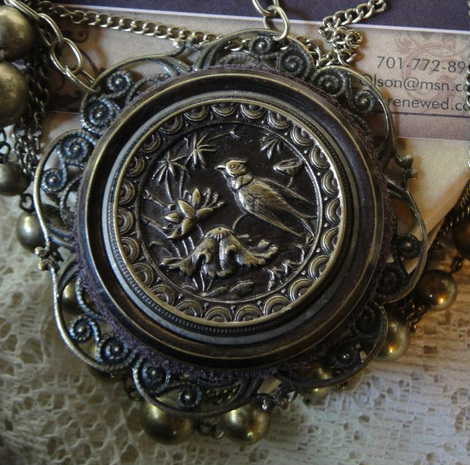 Victorian picture buttons often feature multiple layers with detailed botanical designs and scenes from fairy tales, art and mythology. 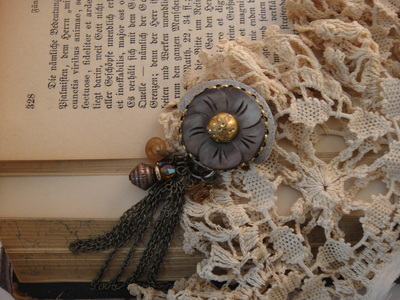 There truly is so much history and beauty in these small button wonders. 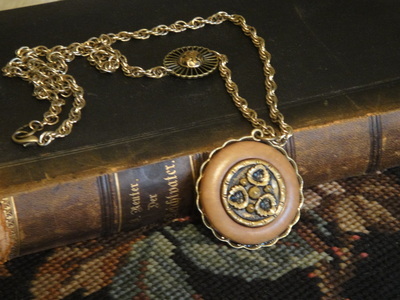 These buttons are among the oldest, dating as far back as the 1700's. They were made with pewter, silver, tin, steel, copper and brass. Brass button production outstripped the rest by the 1800's because brass does not rust. Metal ' picture' buttons are extremely ornate and artistic. some are elegant, some are funky, but they are all old and remarkable by nature of their design. 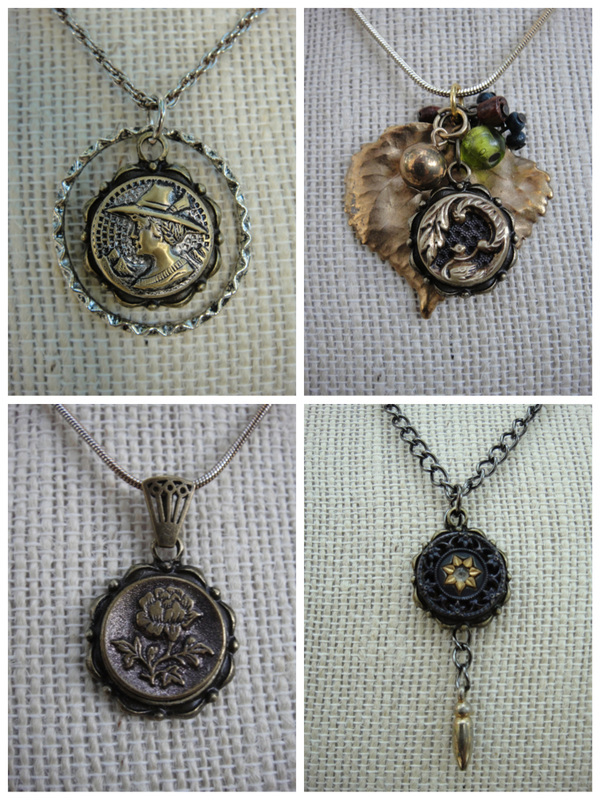 I make a variety of jewelry from these wonderful antique buttons, from bracelets to necklaces to pins!